I’m researching an article on beeswax, and I found something really awesome to do with the stuff. 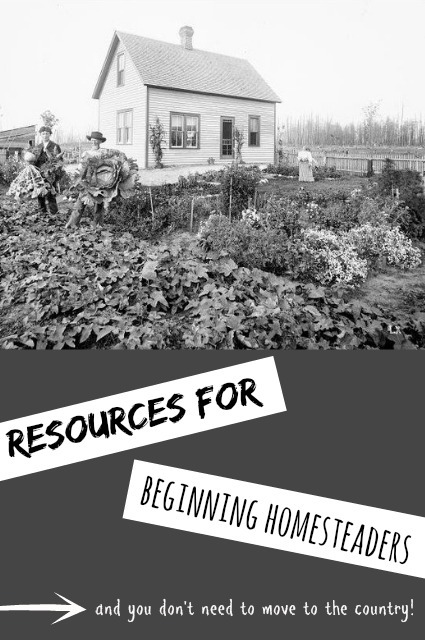 This tip to make beeswax fabric comes from Mother Earth News -- you may never need plastic wrap again! Oh, and this project is incredibly easy and adorable to boot. Take a look. It’s yet another way to eliminate the use of plastics in your home! Preheat your oven to 170 degrees Fahrenheit. 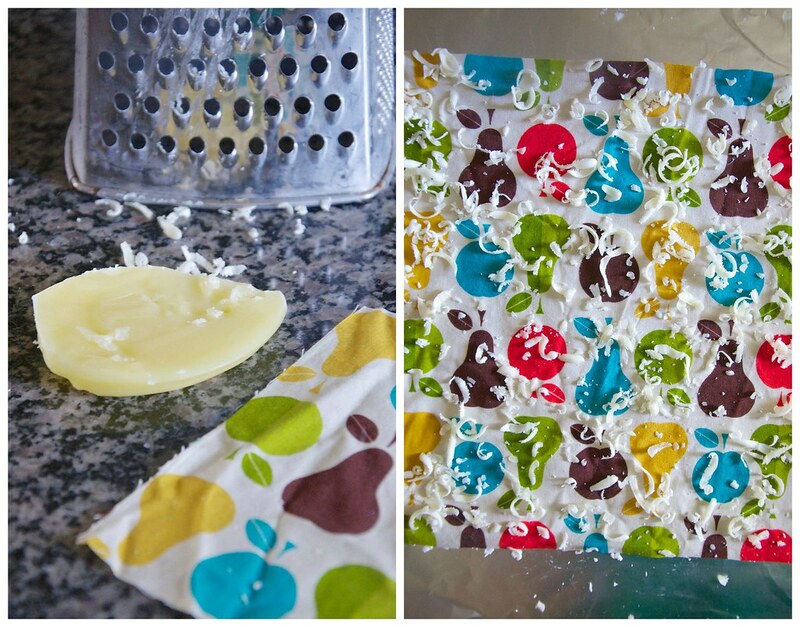 Sprinkle grated wax over fabric. 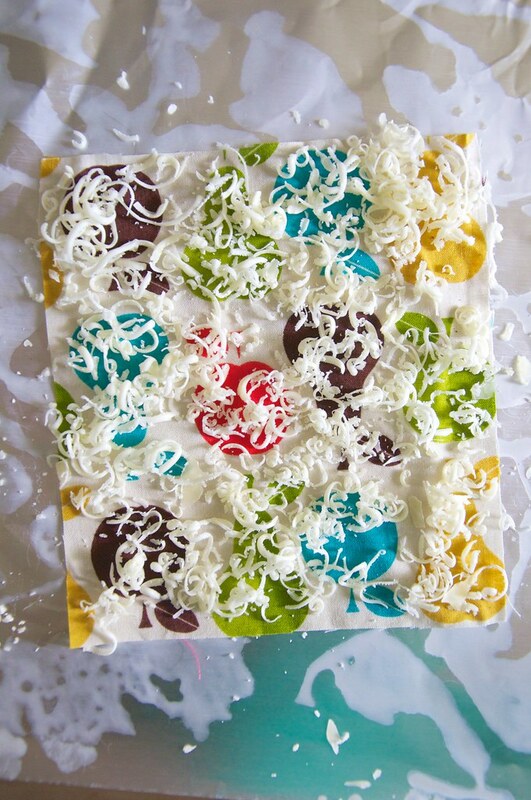 Bake for around 10 minutes -- until everything has melted and absorbed into the fabric. Then remove immediately (I used my fingers, but a clothespin works well too) so it doesn’t stick to the pan. I did find that this project is forgiving. I didn’t add enough beeswax to my first one, so I added a bit more and just left in the oven until everything melted. 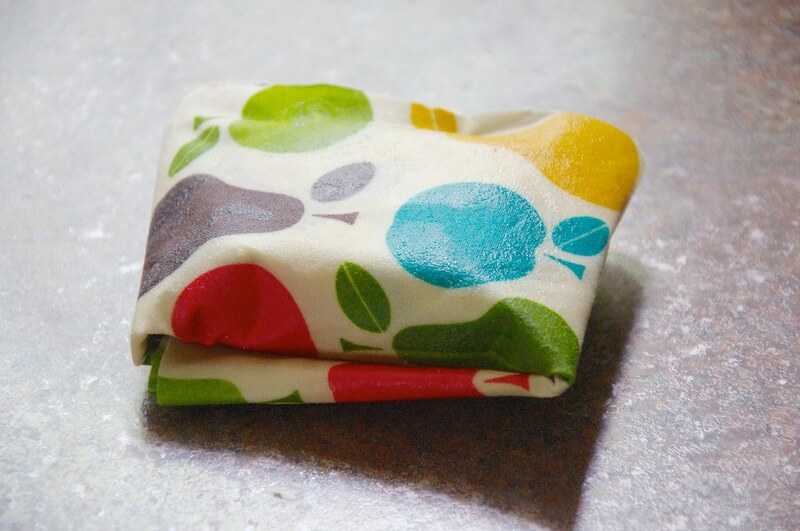 This food wrap is easy to fold and secure. It forms with the warmth from your hands and even sticks a bit like cling wrap. Honestly, I’m super impressed and can’t wait to make more to lee in my stash. Beeswax is amazing stuff, isn’t it? I’ll be sure to report back on how this ends up working in the long run. The author of the original tutorial said her batch was going strong several weeks after she made them. Just rinse with cool water -- not hot -- to clean. 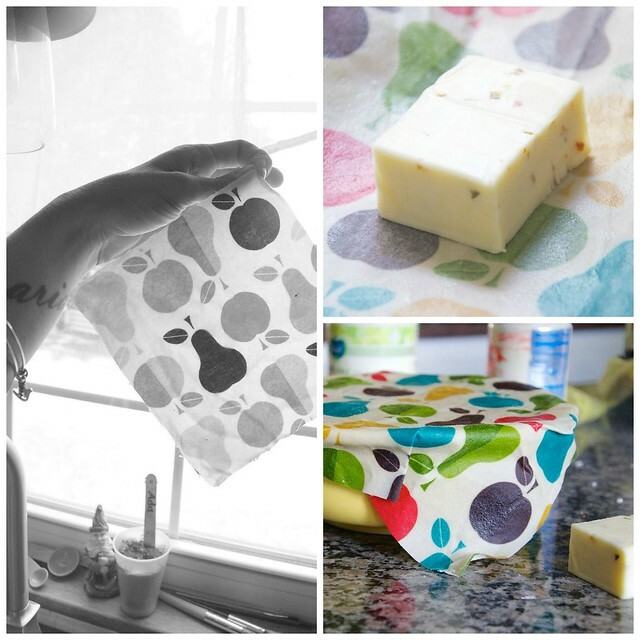 Use them for sandwiches, cheeses, leftover bowls, and all other stuff you need to cover.